When these invitations came back from the printer, I fell even more in love with them than I did when I was designing them. 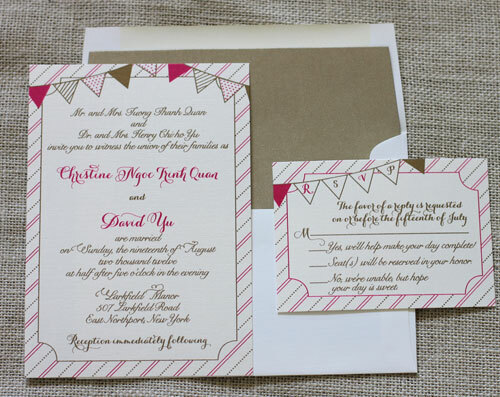 This Bunting Wedding Invitation Suite was thermography printed (raised printing) in hot pink and metallic gold. These colors look Amaz-ing together. 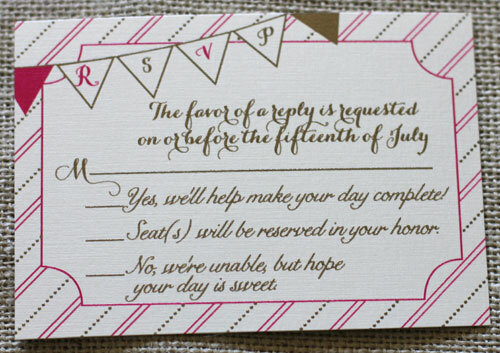 Especially with the raised printing. Gorgeous! 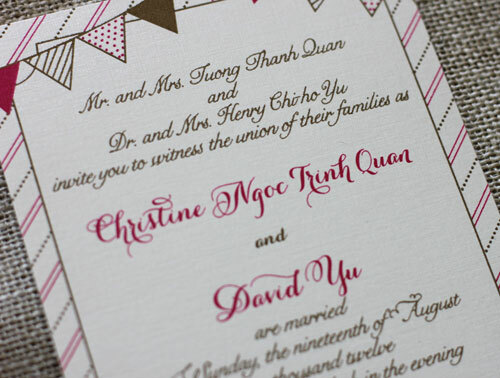 Congratulations to Christine & David who were married over the weekend! You can just tell this is a fun & sassy couple! Love it!